Today I am going to share some basics on how to blend essential oils for Aromatherapy. After the basics I will also be sharing some of my favorite aromatherapy recipes for beginners using 3 essential oils each. Now, I started using essential oils quite a few months ago. I am certainly not an expert in this field but, still I would like to share some basics that I have learnt in the past few months. Aromatherapy is a technique that makes use of aromatic herbs, flowers, woods and the essential oils derived from them for curing an ailment, uplifting surroundings and sometimes just to freshen up the people around. 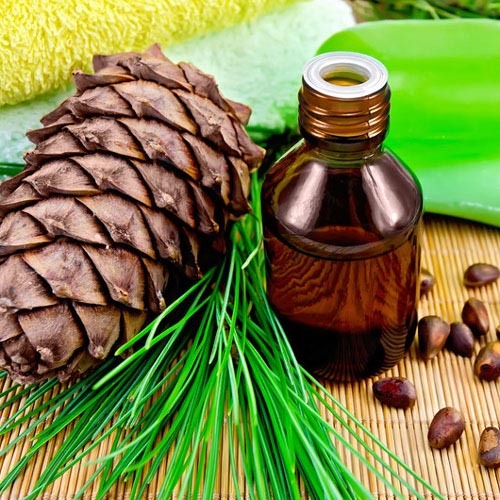 Curing ailments with the help of aromatherapy is a very slow process and not really a substitute for medical treatment. However, we can still use aromatherapy just to feel good, relax and freshen up ourselves after a tiring day. What is a top note, a middle note and a base note? In context of essential oils, top notes are the ones that are volatile in nature and evaporate much faster than the middle and base notes. The key to get the aromatherapy blend right is to add about 15-20% of top notes. Now we have to be very careful in selecting a top note as it will be the first impression of our blend. We should choose a top note that goes down well with our chosen middle and base notes. Otherwise, the scents might clash with each other and the aromatherapy blend will have an unpleasant effect instead of soothing. Some of my favorite top notes are: Basil, Lemongrass, Peppermint and Orange. In context of essential oils, middle notes are the ones that usually evaporate after the top notes and before the base notes. Preferably, mild and universally flattering scents should be chosen as a middle note. They balance the top notes and the base notes. They are like cement for an aromatic blend and hold the other fragrances together. The key is to add about 30-35% of middle notes. Some of my favorite middle notes are: Chamomile, Lavender and Rosemary. Base notes are generally the heaviest, most expensive and the strongest of all essential oils. They are the last ones to evaporate from your blend. The key is to add about 45-55% of base notes. Some base notes that I like are: Jasmine, Sandalwood and Yiang yiang. What are candle diffuser and electric diffuser? Candle diffuser/traditional diffuser is the one that makes use of a candle or a diya to heat the essential oils poured on its top and spread its aroma in the surroundings. They are usually cheaper than the electric diffusers and are easily available. An electric diffuser is however, comparatively expensive. The advantage of using an electric diffuser instead of the traditional one is that these diffusers spread the aroma in the air without heating the essential oils. Heating of essential oils is believed to lessen its therapeutic properties and overall degrade the oil’s quality. Now after going through all the basics, here I am listing down 5 easy recipes for beginners using one top note, one middle note and one base note each. 1. Relaxing blend after a tiring day. For making this blend, you will need Sandalwood, Jasmine and Lemongrass essential oils. The hero of this blend is Sandalwood. Since woody essential oils go well with almost every other essential oil I have chosen Jasmine (floral essential oil) as a middle note and Peppermint (minty essential oil) as a top note. Add about 4 drops of Peppermint oil, 7 drops of Jasmine oil and 12 drops of Sandalwood oil. Now sit back and relax while the mesmerizing aroma of sandalwood relaxes you after that long day at office. For making this blend you will need Peppermint, Pine and Ginger essential oils. The heroes of this blend are Peppermint and Ginger. Since both of these oils are quite strong in themselves I chose a very mild woody middle note that is Pine, to provide a balancing effect to this blend. Do you also feel the need to sleep urgently after a long day but something keeps you from drifting off? Well, you don’t need to worry anymore as this magical blend will put you to sleep in no time. For making this blend you will need Basil, Lavender and Cedarwood essential oils. The hero of this blend is Cedarwood, many people swear by this essential oil’s abilities of fighting insomnia. I have chosen Lavender as a base note as this fragrance is liked by a majority of people. It is very mild, soothing and is also known to fight insomnia. The choice of Basil as a top note was just because of my personal preference towards this fragrance and you can replace it with a top note of your choice too. Add about 5 drops of Basil oil or any top note of your choice, 7-8 drops of Lavender oil and 12 drops of Cedarwood oil. For this blend you will need Lemongrass/Peppermint oil, Rosemary oil and Sandalwood oil. The hero of this blend is Peppermint/Lemongrass oil. I chose Rosemary just because of the reason that minty fragrances go well with floral fragrances. 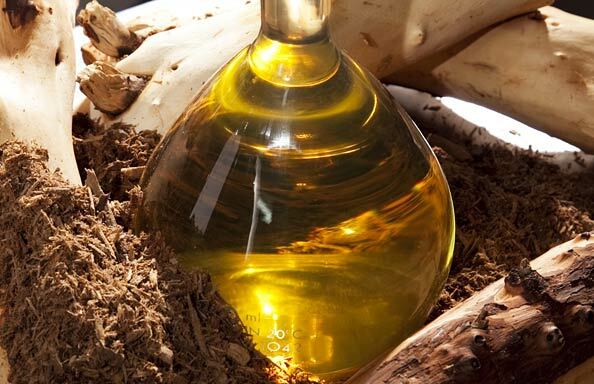 Sandalwood again, has a very cooling and refreshing effect. Add about 4 drops of Peppermint/Lemongrass oil, 7 drops of Rosemary oil and 12 drops of Sandalwood oil. I would like to mention here that treating severe migraines or headaches through aromatherapy is a very slow process and instead of relying just on this is not advisable. Do seek medical treatment if you are in real pain. For making this blend you will need Eucalyptus oil, Lavender oil and Jasmine oil. The hero of this blend is Eucalyptus oil and you can also massage your forehead with Eucalyptus oil after diluting it with carrier oils like Jojoba and Coconut. In this blend, most of the work will be done by Eucalyptus and the sole reason behind choosing Lavender as a middle note was that it is also very mild and treats headaches to an extent. Jasmine oil was again; my personal preference and you can choose Neroli or Yiang Yiang in its place too. Add about 5 drops of Eucalyptus oil, 8 drops of Lavender oil and 11 drops of Neroli/Jasmine/Yiang Yiang oil. Now sit back and feel that headache fade away. Do seek medical advice prior using essential oils in any form if you are pregnant. Do not use essential oils on or in presence of very small children. Do not ever touch an undiluted essential oil. This can cause severe sensitization reactions which will take god knows how much time to be cured.